Please feel free to comment and discuss! Modern-era military conflicts (MEMC) offer endless opportunities to explore themes like: Why do democracies go to war? Which individuals partake in MEMC and why? Is killing for human rights or any other value justifyable and ethical? How far will the forces involved go? What meaning have fundamental rights like the Geneva Convention or the Human Rights Declaration in the face of death or victory? How does an usually peaceful international community work together to achieve a military goal? What role do civilians play and how are they protected? Most Airsofters on the other hand have concerns about going “LARP” during an airsoftgame. Reasons? c. What do I do, when I die? Yes the weapons look real. Running around in public with Airsoft weapons is dangerous and the police WILL interfere. Therefore, Airsoft-LARPS have to be in secluded areas with no visitors, and the police and local authorities must be informed beforehand! The goggles are for your safety, the only part of your body that can be truly damaged by the BB pellets are your eyes. For immersion: Tactical goggles are all around the place in real MEMC. a. Yes, granted that, but you could explore so much more if you are willing to let us take you on a whole new experience. b. The exhaustion you feel is real, so it is real for your character, too. The outside world/experience is “bleeding in” your character. 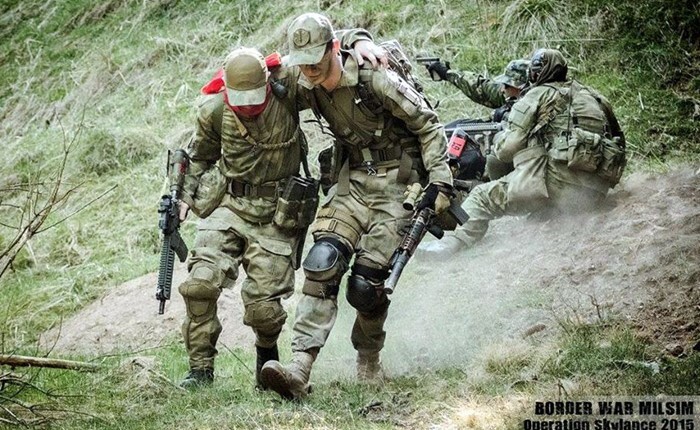 Big Airsoft events like Berget (Sweden: http://www.berget-events.com/) or Borderwar (Czech Republic: http://www.borderwar.cz/sites/) are perfect for simulating large MEMC. They often have elaborate background stories, but little to none “real” LARP. Just out of my mind some possible solutions to harvest that enormous potential. Feel free to copy and try those ideas or just comment or discuss! This is primarily a blog post to discuss about, hopefully to inspire some. 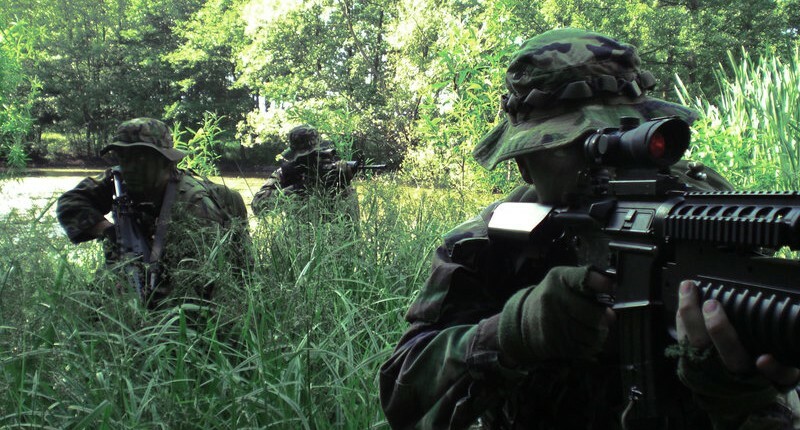 The huge potential that lies within large Airsoft events should not be wasted. Explorations of important topics regarding MEMC as discussed above are not only interesting for its own sake. These can lead us to rethink our own values, beliefs and morals, see how power and violence work and what price we pay for them. It has the potential to make us more aware of political processes and last but not least, ourselves. I once forgot my googles at home, so I had to wear my gas mask for four days. It was immersive, warm (-3° to -18° C) and I got used to it quite soon and well. It gives this mild claustrophobic/sensory deprivation/body conscious effect which is rather interesting if you imagine playing in space or on a foreign planet. In essence: If you can’t go in on direction, try going into the other.